AMD new business partner in Chip manufacturer: AMD hands TSMC its entire 7nm portfolio: Vega 20, Zen 2 and Navi right around the corner - TechSpot . Why it matters: This is the last piece of the puzzle in AMD's long journey to put its manufacturing strategy in order. Unfortunately this meant dropping Globalfoundries, and taking on TSMC as the go-to partner for its current portfolio. TSMC's manufacturing lead over Intel is substantial and AMD aims to capitalize on that. Mark Papermaster, CTO of AMD, has announced that the company has finally leveled out its GPU and CPU development and unified everything under a single manufacturing node, at 7nm, handing TSMC the keys to the kingdom. In a blog post, the exec explains how the company's long term vision has finally paid off and AMD is now in a position to put its competition between a rock and a hard place with advanced 7nm designs in both GPU and CPU segments, thanks exclusively to the help of TSMC. This announcement sets the stage for the departure of GlobalFoundries, AMD's other, oldest, foundry partner. 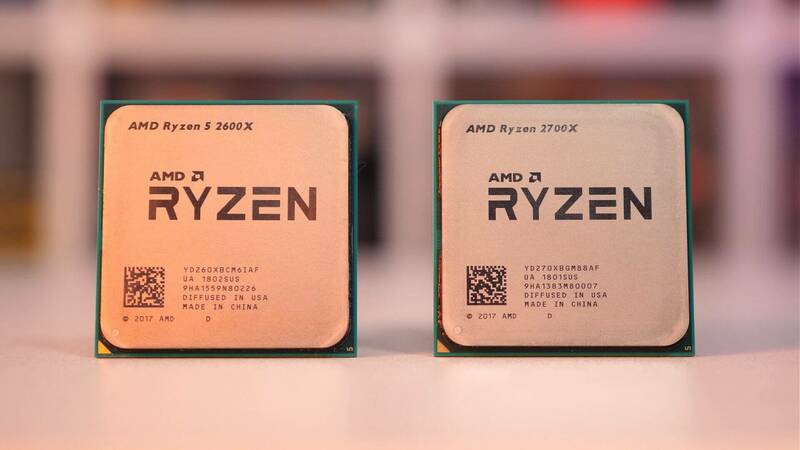 The announcement had already been hinted at during several corporate communications, events and calls, however, it is the first time AMD comes forward and effectively drives this narrative. Papermaster said "Our work with TSMC on their 7nm node has gone very well and we have seen excellent results from early silicon." Papermaster goes on to report that multiple 7nm products have taped out at TSMC. This includes the workstation-class GPU, Vega 20, and the next generation CPU architecture, Zen 2, all manufactured by TSMC. Going forward, AMD will focus its entire product portfolio on TSMC's 7nm process, and that includes this year's Vega 20, followed by an early 2019 launch of the Zen 2-based server CPU, Epyc, and later that year, the Navi GPU architecture, the long-awaited 7nm follow-up to Polaris which AMD is now beginning to talk up. 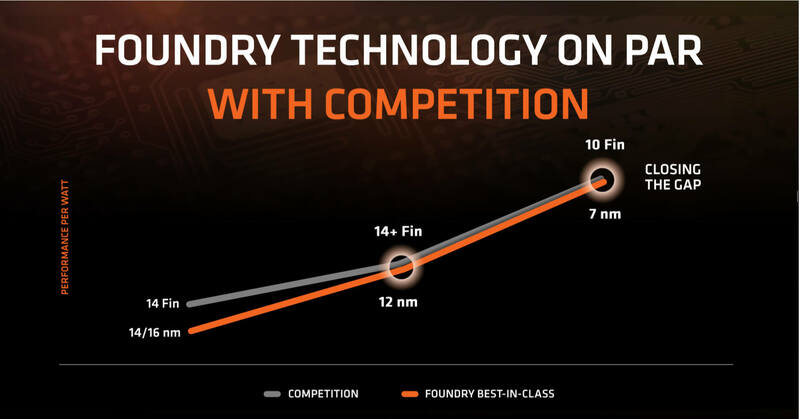 For more time than most AMD fans would care to remember, the company had relied on GlobalFoundries to cater to its semiconductor manufacturing needs. The results, however, have been a mixed bag. GlobalFoundries has tripped itself up more than once while playing catch-up with Intel, having twice nixxed its developing processes. It trashed its 14nm development in favor of licensing it off Samsung, and now it has announced it has ended its 7nm node. In the meantime, TSMC, the backup fab for AMD, not only delivered where GlobalFoundries failed, but managed to overtake Intel in manufacturing technology, and this has paid off. The last CPUs built by GlobalFoundries for AMD. While recognizing GlobalFoundries' role in producing 14nm and 12nm GPUs and CPUs, in particular for Zen and Zen+, which proved great successes in restoring AMD's reputation, it seems that the relationship between AMD and its oldest foundry partner will not go beyond those nodes. With TSMC, AMD now has the weapons to fend off its biggest competitor, Intel. This also confirms AMD will not have an answer to nVidia for at least the next year, which means we will also see more of this lopsided matchup, like the 1070Ti being cheaper than the slower Vega 56. With AMD unresponsive on this, yet announcing professional level Vega GPUs, it appears, at least to me, AMD is shifting their remaining resources into the professional level and away from the Radeon level.